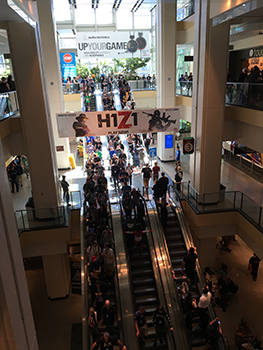 Daily Illuminator: It's A Convention Weekend At Fan Expo And PAX West! September 3, 2017: It's A Convention Weekend At Fan Expo And PAX West! We've got boots on the ground at two different shows this weekend: PAX West in Seattle, and Fan Expo Canada in Toronto! 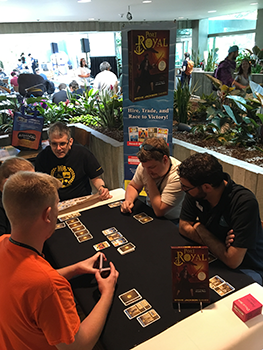 Munchkin Czar Andrew Hackard is a special guest at Fan Expo, and if you're lucky, you can find him in the gaming area, with secret Munchkin demos! Make sure you bring him some Canadian snacks! Guy and Andreas are running PAX West, ready to hand out free swag at our gaming corral. 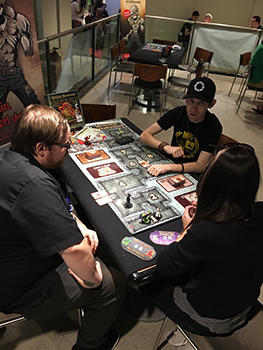 From now until Monday, we have a ton of games to demo, including the upcoming Port Royal, Muertoons, Munchkin Shakespeare, Super Kitty Bug Slap, and Dungeon Fantasy RPG! If you know the secret password, you may even get to play Munchkin Magical Mess and Conspiracy Theory. (The secret password is "please.") We've also got the USAopoly release Munchkin: Rick and Morty! 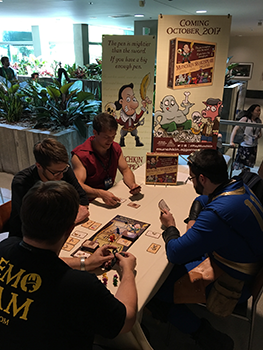 Get your schmeckles over to our retail partner, Uncle's Games, and pick up some Munchkin loot. We hope you can spend your long weekend with us in Toronto or Seattle! Have a great Labor Day!